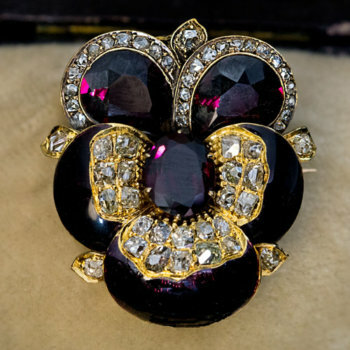 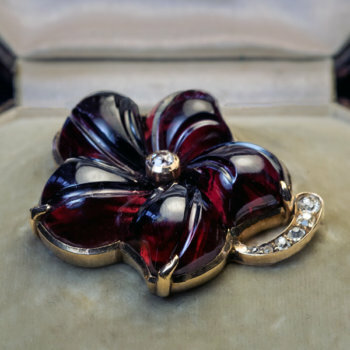 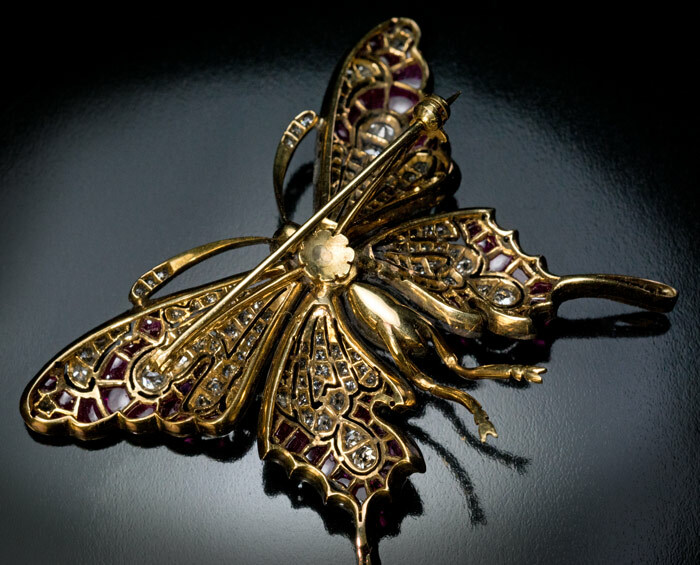 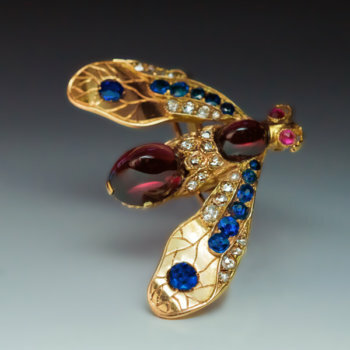 This Austrian mid-century (c.1950s-1960s) large butterfly brooch is designed in Belle Epoque style of the early 1900s. 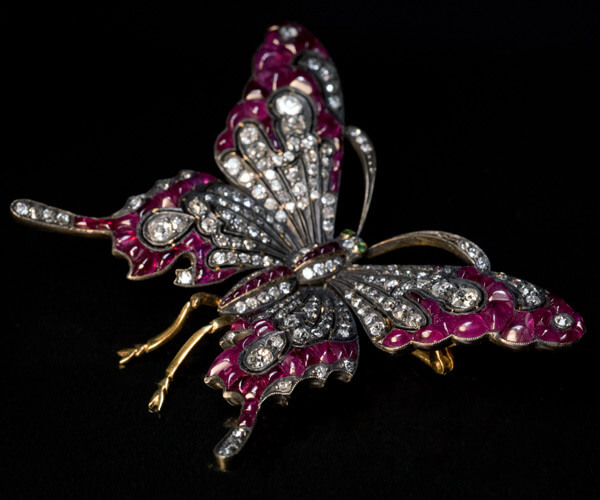 The butterfly is superbly crafted in silver and 18K gold and is set with old cut diamonds and cabochon calibre cut natural rubies, likely of Burma origin. 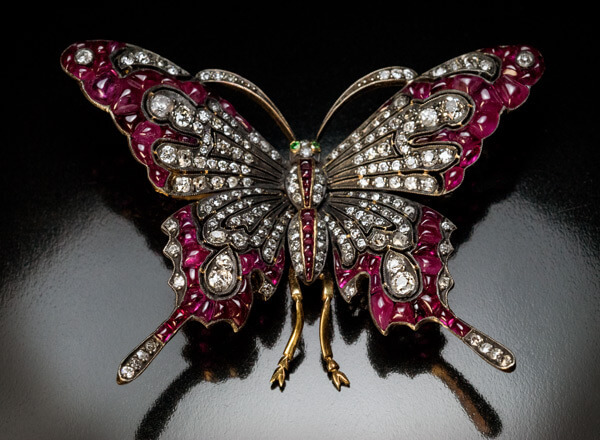 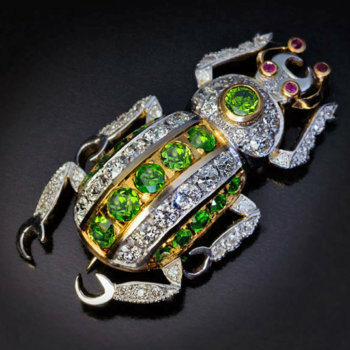 The eyes of the butterfly are set set with green demantoid garnets. 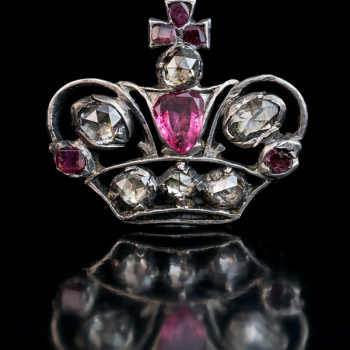 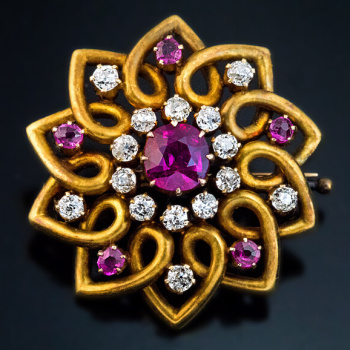 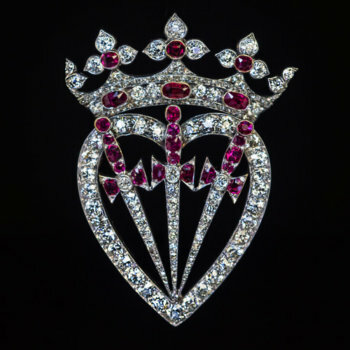 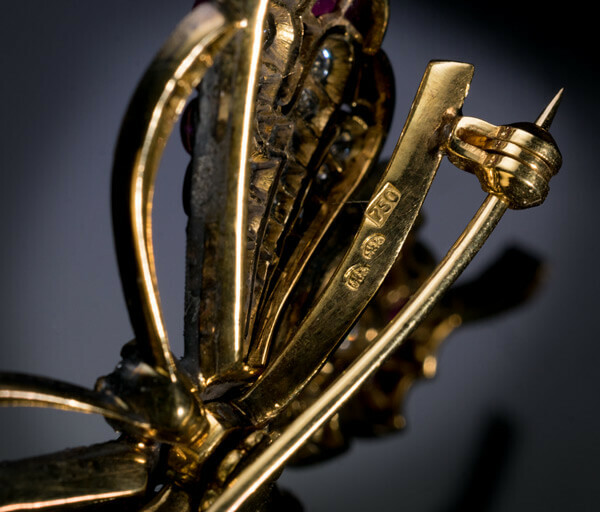 The brooch is marked with Vienna (Austria) assay mark and 750 gold standard.